My kids seem to get older as each day passes, not that I'm complaining. My son still likes toys, but he only collects them now. He's a HUGE fan of Transformers and Wrestling Action Figures, but he doesn't play anymore - he only plays music on the computer and with the webcam. Hey, he's a teen - there's not much more that I can expect from him, is there? But I knew when I saw a review opportunity from Hasbro for some of their Action Figures, that my son would enjoy them and hold on to them - and take care of them. I know my nephew would like them also, but he's too far away for him to receive these. 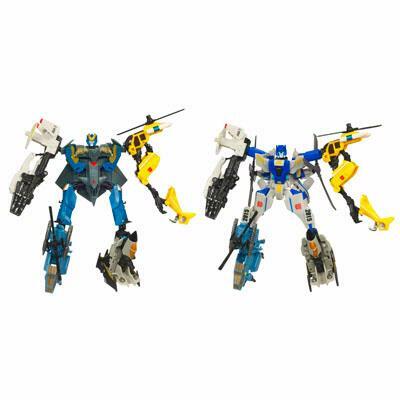 These action figures come in various combinations, from $9.99 up to $19.99. We moms know that this price is affordable, even when you're on a budget! My son's always liked Transformers and I remember the original cartoon when I was a kid. With the return of Transformers to the big screen, a whole new generation is being exposed to this epic tale of good vs. evil. Now the boys can act it out in their own homes or with their friends! 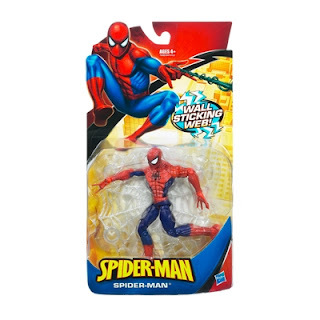 We also received the above Spider Man 3.75" Action Figure to review. Another family favorite of ours, this guy has Wall Sticking Web! How cool is that?! These figures come in various varieties like Green Goblin as well as various types Spider Man. Retails for $7.99, another great low price! Disclaimer: I was sent the products named above to review by Hasbro. The opinions expressed above are solely my own and yours may differ. Receiving a product will NEVER influence what I write in any review. I'll have to check these out for my son. He'd love them!